s there a theory that should be looked into as an applied science in karate? I mean, if you had a lot of time at hand? If you’d ask me, it would definitely not be “Ki“. Rather, it would be the physical laws of mechanics. Specifically kinematics and dynamics, static and kinetic. This is nothing but what is called biomechanics. It’s not about being young or old, belly, beard, or not. It’s not living here or there. The process of thrusting with impact. 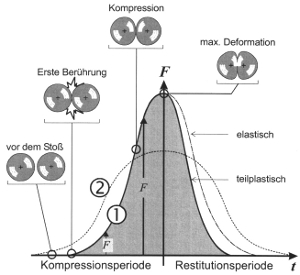 From: Pfeifer 2000. Math is what makes up the bulk of biomechanics. Always. Anywhere. All else is evasive, opinion, personal “experience windows”, heuristics, beliefs, wishes, preferences, and so on. Tradition. If it’s not about the art, though, sheer power and athletics will do the safe side most of the time. Add three techniques each of karate, boxing, wrestling, jūdō, and some others. Of course, in all MA the “player” itself constitutes the “movendum”, but there’s a huge difference when it comes to kata: other than elsewhere and although they too might have “shadow boxing” routines, karate kata in most of the styles are “unrestrained by an opponent” as regards their biomechanics. They are a “simulation of being restrained by an opponent“. That’s what makes it so difficult. Using the leg muscles as an extra source of power. From: Pfeifer 2000. Of course, supportive methods are used to compensate for this, like makiwara, weight training, kote-kitae, kettle bells etc. The list what you can do is endless. But then, why would anyone need to preserve kata? Why not just extract the principles and techniques? Why are there infinte parameter settings for kata within the range in between martial form and art form? I’am not sure. Our relationship is complicated. Often bunkai is not done exactly as kata. Sometimes it is restraint by a dummy-opponent. Often it is more or less agreed upon wherin reflexes have been build to allow for exact, dynamic repetition. Sometimes it’s simply traditional. Or invented tradition. Or martial engineering – ad hoc, reasoned, or inspired from anywhere else. Or a kata might also be adapted to ideas of their application, which – however – is often said to be a no-go, yet this rule is adhered to as often as it is broken. 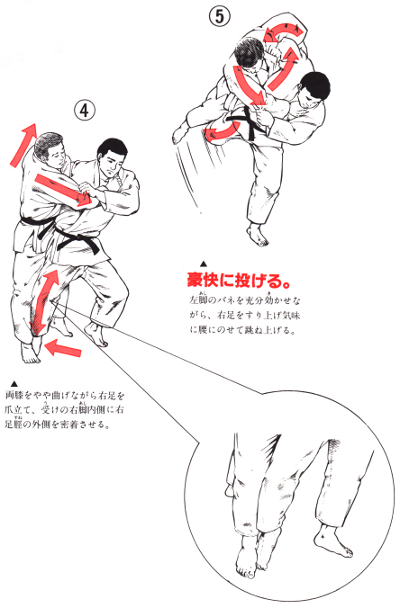 At any time during the 20th century new kata have been developed. Some were continued, some discarded. As there is any thinkable approach to the blank paper of kata put into action out there, there is not one convincing definition for what is kata. In Okinawa, there even was a serious discussion as to which of the two kanji – with their micro-indications – is the correct one to be used – because it would pose a complete difference for the attempt of a definition. You will not be surprised if I tell you that the question was has not been solved so far. It is still one of preference. 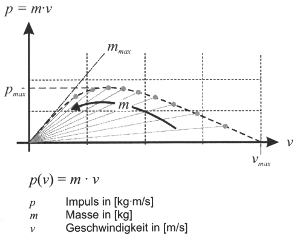 Maximum momentum of a stick. From: Pfeifer 2000. Each style, each dojo has its own method of tsuki and other techniqes, often called “body mechanics” – the magic word. This of course is nothing but (Western) biomechanics, yet without its original scientific foundation, as tradition inherently contradicts to this. Furthermore, all things Japanese have to be historically Japanese: armies of Japanese academics work day and night on this. How Okinawan is that? All of the various approaches seem to be correct within the scope of their set of assumptions (sometimes referred to as theory). Just do crunches, push-ups, and squats until an explanation will be available. You’ll be an all healthy, good-looking stud. Be a strong man who does some karate. Strong men always have many friends, so it’s good. If you have money, or power: even better. 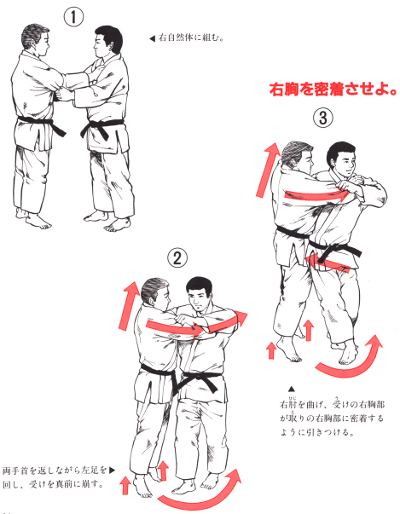 Phases of Harai-goshi 1. From: イラスト柔道 (Illustrated Jūdō) 1984. The biomechanics of kata hardly are explicable in a “restrained by an opponent”-fashion that is at the same time practicable. There are exceptions, I know. Just as many as there are those who would achieve the same results by playing table tennis for 10 years. A myriad of stylistic expressions from a non-functional sphere are also used. Is it this complexity that leads people to look into “ki” power? Or “tanden“? Anything Oki-xotic? Or is it really the fear and loathing of having to do the math? 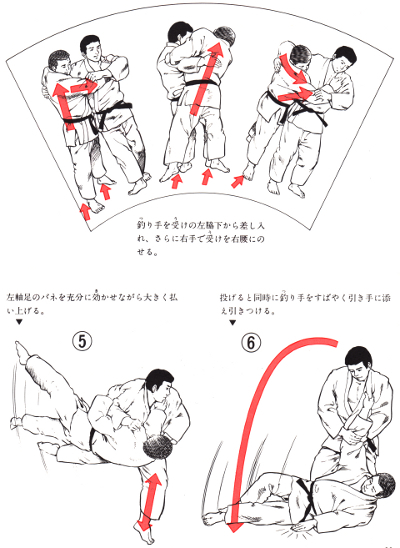 Kuzushi is the method of creating a favorable dynamic situation before an opponent is thrown. Basically it is about breaking the opponent’s balance. Tsukuri refers to the structural positioning of the opponent in a way that makes it almost impossible for him to prevent being thrown. Kake is the actual application of the contemplated technique. These can be called the technical principles of jūdō. These principles help in actual practice and matches but most importantly they are used as the criterion for judging whether a jūdōka has understood the principle of these sequential phases or not. And this has to be demonstrated in kata. Phases of Harai-goshi 2. From: イラスト柔道 (Illustrated Jūdō) 1984. You know ambiguity – as termed from a Western perspective – is THE # 1 hobby of ALL Japanese. The Japanese, on the other hand, call this “aimai“, which is considered a form of aesthetics. Being aimai is totally the flavor of the month. Which it has been for about the last 1000 years. 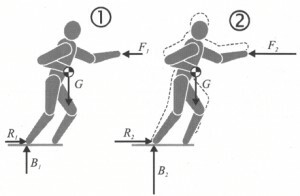 So, returning to kata, the least thing anyone may do of what is regarded “scientific” would be a functional motion analysis, using the methods developed – for example – in sports biomechanics. This is what successful athletes – or better their trainers – do. And it is the same as traditionalists do – they just call it different and are not so scientific. 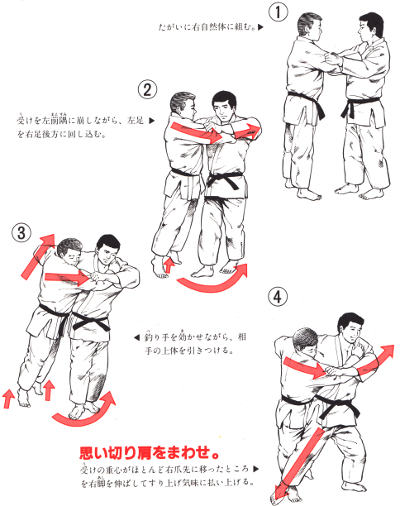 Phases of Hane-goshi 1. From: イラスト柔道 (Illustrated Jūdō) 1984. Oversimplifying things for the sake of clarity, the first seem to adapt things to themselves, fast, with high intensity. The latter adapt themselves to things, slowly, over a long period of time. The first have no idea of tradition. The latter have no idea of sports. At the same time, both Western sports and Japanese tradition aims at the same thing: balanced persons as valuable members of society. But this sublime ambition is not yet achieved, as both forms keep producing the good, the bad, and the ugly alike. Zero-sum game. Phases of Hane-goshi 2. From: イラスト柔道 (Illustrated Jūdō) 1984. There is no-one who inherited the body, the brain, or the collective knowledge of a sensei, miracuously having hopped over to them. It is also not possible to bring a “collective indiginous knowledge” to become tapped into “swarm knowledge” (I know many people will disagree). That’s what makes kata so hard to understand. Together with, I might add, a bipartite difference. I.e., the difference between old and modern things Japanese on one hand, and the difference between things imported, adapted, and incorporated on the other. This sweet and short matrix has not yet been solved to a satisfactory degree. It’s easier to encourage storytelling. All thanks to the aesthetics of ambiguity, or aimai from a Japanese perspective. 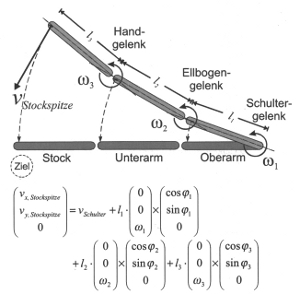 Euler’s equation applied for the motion of arm and stick. It is to mercilessly grind artificial degrees of freedom into your bones, joints, and tendons! I think you agree that it is not. “Simulative method of martial theory in motion unrestrained by an opponent“. That’s not the worst try. © 2014 – 2015, Andreas Quast. All rights reserved. This entry was posted in Misc, Unknown Ryukyu and tagged Karate, karate science, karate theory, kata. Bookmark the permalink.